Due to leaving their graduates with high debt loads, for-profit colleges are becoming the target of scrutiny from the federal government. But is this scrutiny justified? Like many proponents of non-traditional pathways to college, Marco Rubio, a Republican presidential candidate for 2016, wants to expand the role that for-profit schools have in higher education. According to USA Today, Rubio wrote an editorial for the National Review where he details why he believes the nation is better off if the education department changes the rules of accreditation for for-profit schools. Rubio is referring to how tough it is for for-profit colleges to attain accreditation. In changing the process, Rubio believes that it would allow for more for-profit schools to offer vocational training. There’s a slight problem with Rubio’s argument. He’s receiving donations from the for-profit education industry. It’s not much as Rubio has taken in about $24,000 since 2014 according to opensecrets.org. While the totals aren’t high, it supports the idea that Rubio only has this idea to appease a portion of his donation base. But in addition to that, allowing more for-profit schools into the world of education without dealing with the problems that many have caused is not the best idea. After all, the United States Education Department has been busy putting out their fires. Rubio is right that students may need greater access to vocational institutions, but for-profit colleges may not be the best way to go. Here’s why. For-Profit Colleges: Centers of Financial Ruin? The report attempts to “debunk” the myths surrounding the theory that online education may be a cheaper option for some students. According to usnews.com, tuition costs for online courses, or degrees in some cases, are more expensive due to technology and faculty costs. Depending on the type of school the student chooses, the cost of attending varies. Selecting a private higher education institution that offers online programs will certainly trend higher than a public university with controlled costs. Most importantly, many for-profit schools offer online programs. The costs associated with these programs and schools will sometimes rival that of some of the country’s best schools. In fact, according to a new report by the Brookings Institute, a good chunk of student loan debt is held by students who attend for-profit institutions. Students who attend non-profit private schools or public universities do not face the same debt issue because their job prospects are much higher upon graduation. Borrowers at for-profit institutions have a harder time finding gainful employment, and when they do, their average earnings barely creep over $20,000. The report also finds that students who attend the University of Phoenix hold the most debt. In 2014, students there held over $35 billion dollars in student loan debt. College students work hard to make a better life for themselves and their families — but student loans can have the opposite effect, at least in the immediate. Tuition at these private schools is astronomical, and if students cannot find jobs to pay their loans back, attaining a degree from these schools is pointless. Some former graduates of these colleges are beginning to realize this. Take Corinthian Colleges, for example. As reported by NPR, 107 of its students refused to pay back their student loans as a form of protest. In addition to a large amount of debt that the students carried, they also claimed that the degrees they received from Corinthian are not recognized by most employers. The Associated Press reported that Corinthian shut its doors at the end of April 2014 due to federal regulations. 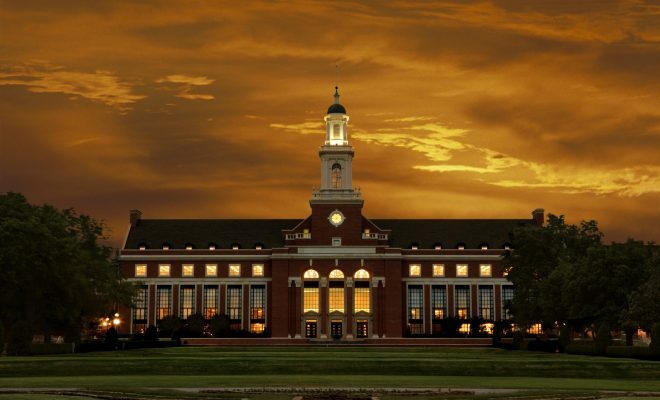 The college had more than 100 U.S. campuses with more than 70,000 students. But when enrollment started to slump and reports showed that nearly 100% of students at for-profit schools take out student loans to pay for their education, the United States Department of Education stepped in. According to NPR, the Consumer Financial Protection Bureau met with representatives from the “Corinthian 100” to discuss “ways to address the burden of their student loans.” While this was likely a step in the right direction for those students, it didn’t fully address the student loan debt crisis that’s beginning to engulf higher education. The Institute for College Access and Success by way of Pew Trusts shows that five states have an average debt for graduating students of more than $30,000. Consider that student loan debt now outpaces debt tied to mortgages and credit cards, and that more than 7 million U.S. borrowers are in default on their loans. Higher education just may be in crisis. A couple of years ago, the U.S. Department of Education bumped up its regulation of for-profit career colleges, introducing rules meant to halt federal funding to institutions that leave students saddled with enormous debts that they are unable to repay. The efforts by Obama’s administrations showed that federal and state authorities were ramping up their examination of the for-profit college industry, which included colleges such as the University of Phoenix and Everest College and ITT Technical Institute. The for-profit college industry boomed during the Great Recession as colleges targeted the increasing number of unemployed Americans. The Education Department’s new rules would penalize schools that cost their students too much debt compared to their earnings post-graduation. To be eligible for federal student loans and grants, schools must meet debt-to-income requirements for two out of three consecutive years. The government has continued with tightening regulations for colleges and universities. In 2015, the U.S. Department of Education released a list of 556 colleges and universities that were on a federal financial “watch list.” The Wall Street Journal reported that the Department of Education would have “increased financial oversight” into what these institutions of higher education do with the money they received from federal student aid. On the list was a mixture of for-profit, public and Bible schools that were flagged because of accreditation, liabilities, and late financial statements. Nearly half of the institutions listed were for-profit schools such as the Art Institutes, Everest University, and Le Cordon Bleu. Many of the schools were already placed on this oversight list, but those names were previously not publicly released. The Obama administration did more than put names of schools on lists, though. For example, in 2015, in what is perhaps the largest monetary settlement in higher education, Education Management Corporation (EMC) agreed to a $95.5 million settlement with the United States Justice Department. You probably know EDMC better by its school names: the Art Institutes, Argosy University, and Brown-Mackie College. The lawsuit alleged, “that the company defrauded taxpayers out of billions of dollars.” The company is accused of admitting unqualified students and then encouraging them to receive federal and private loans to fund their educations. Education Management Corporation continued to maintain its innocence and released a statement regarding the settlement. A payout to the government of nearly $100 million, however, certainly sounds as if there was merit involved. Education Management Corporation will continue to do business and enroll students. Because the company admitted no guilt, students who attended schools under the EDMC banner will likely be ineligible for debt relief. Part of the settlement also includes over $100 in loan forgiveness for students who left EDMC after just 45 days of enrollment. All other students are still liable for any debt incurred while attending an EDMC institution. While EDMC is still in business despite being accused of predatory practices, the Corinthian Colleges, mentioned earlier, shut down after being fined by the federal government. According to Corinthian’s financial records, the institution received nearly 80% of its revenue from the federal government. Meaning the vast majority of its profit came from student loans. The government began to investigate Corinthian because students claimed that the degrees they received weren’t being recognized by employers and they couldn’t find jobs. They also found that Corinthian was telling students to lie on their financial aid applications. Soon after, Corinthian was fined $30 million by the federal government for “misrepresenting job placement rates,” effectively shutting the company down. But does the government care about students? Students who formerly attended Corinthian Colleges accused the United States Department of Education (USDOE) of using them as a publicity stunt. 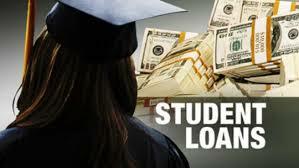 Representatives from the “Corinthian 100” were set to meet with officials from the USDOE about their student loan debts. However, they opted to cancel the meeting because they felt they were being used. According to the New Republic, a representative from the Debt Collective, the organization aiding the students in their quest against the USDOE, did not believe the government wanted to help. The Corinthian 100 continued to fight to get the government to forgive their student loan debt. Students that formerly attended schools under the now defunct Corinthian Colleges banner tried to exercise a clause listed in the contracts they signed for student loans. That portion of the contract allowed for students to make a “defense of repayment” if they felt that they were deceived. Once they found out that the federal government fined Corinthian $30 million, in part, for felonious ways of collecting debt, the 100 wanted their debt forgiven. Students fight back—but is it enough? According to chronicle.com, the Corinthian 100 had their debt forgiven. While some students likely felt some sense of relief, many students were left in the dust. After all, only some students would receive forgiveness. Others who feel that they’d been defrauded by Corinthian, as stated in the Chronicle of Higher Education’s article, would have to prove that the former institution of higher education violated state law. The Department of Education would make the process of proving fraud by colleges and universities easier. Still–this likely will not be enough to save every student defrauded by for-profit colleges. While it is great that many received the mercy of the United States Department of Education, the other students who borrowed in good faith with the belief that there would be a good education, a degree, and solid job opportunities on the back end are left hanging. Giving blanket relief may not be in the department’s best intentions as it would open other doors that should remain closed. But giving special attention to the rest of Corinthian’s former students and giving them extra breathing room to either pay off the debt or taking on the vast majority of the debt is at least one way to help them in the long run. In fact, the Association of Private Sector Colleges and Universities, a group that represents for-profit colleges, sued the U.S. Department of Education and Secretary Arne Duncan on behalf of for-profit colleges. For-profit colleges disagreed with the rules penalizing career training programs for charging high tuition that saddles students with massive debt while offering low-paying job prospects. For-profit colleges were given time to make changes, but ultimately, if they failed to meet the standards, they would become ineligible for federal student aid. This made up nearly 90% of the revenue at for-profit schools. And even more strangely, these institutions saw a steep rise in stock worth and revenue through 2014, when a lot of the regulatory changes began to take place. According to a CNN Money report, Strayer Education was perhaps the biggest success of the bunch. 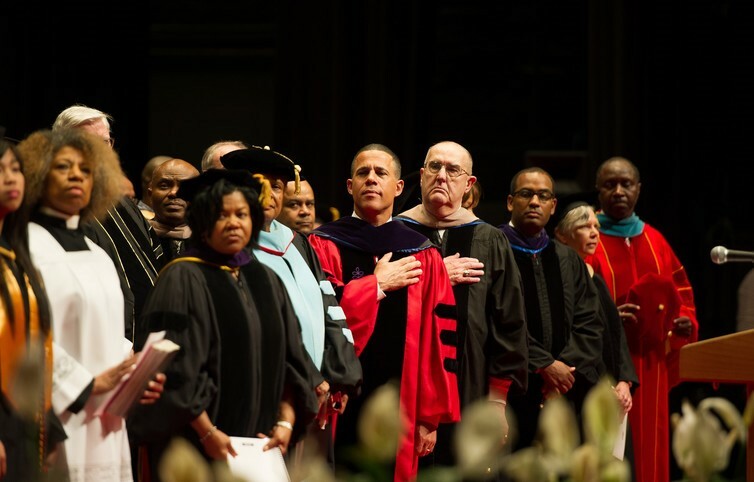 Strayer provides a variety of accreditation, bachelor degree, and master’s degree options through programs that are set up at 100 other colleges and universities across the country. DeVry Education Group and Capella also saw rising stocks. This was likely because more and more people are seeking out alternative forms of higher education, and that non-traditional students are more commonplace as a result. But what’s interesting about these numbers is that the schools are seeing financial strength despite heightened regulations from the government and the failures of Corinthian Colleges and other alternative schools. Should For-Profit Schools Be Put to Death? 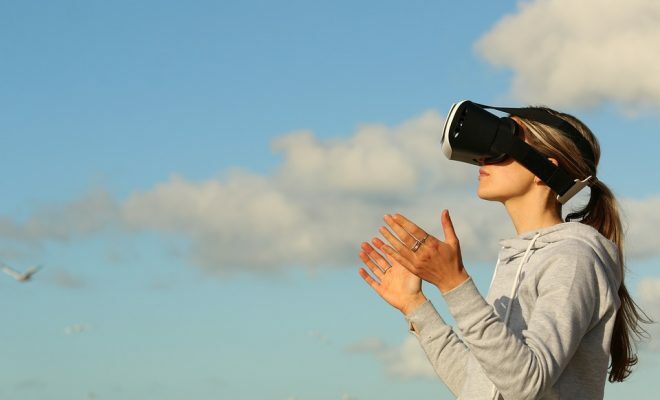 According to a survey by the Education Advisory Board, nearly 100% of executives at online higher education programs and schools want to shift their focus to “track career outcomes” for students once they leave school. Before this change, many online higher ed schools were focused solely on gathering funding for new programs. This news comes on the heels of the federal government tightening its grip on for-profit institutions and the funding they receive. Messaging and how online schools are viewed have taken a beating lately. With the Corinthian 100 refusing to repay their student loans because they were defrauded by Corinthian Colleges, for-profit colleges have developed a sour reputation. Potential students and graduates worry that their degrees are useless. While all online colleges aren’t seen in the same light, many are grouped together because the accreditation may differ from traditional colleges and universities. Standards for online schools, especially for-profit institutions with online programs, also vary and give many employers pause before hiring a graduate from an online university, specifically that from a for-profit. Focusing on the quality of education the students receive—rather than focus on securing funding for the government for questionable programs—will have a better long-term impact for students and these schools. Truthfully, while I have come down pretty hard on for-profit schools, I do not think that they are inherently bad. I think that they can be part of an array of alternative options for students who choose not to go the traditional route. However, historically, many for-profit institutions have engaged in predatory practices. Regulating them, as the federal government has been doing over the past few years, is the right way to go so that they can become great building blocks rather than destructive forces for a future career. 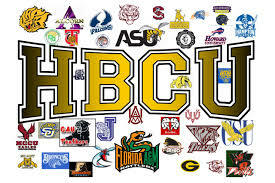 How can HBCUs raise more alumni dollars? I commend you for your excellent report on the for-profit universities in our country. It is hard to accept the facts out of this report but it is the ultimate truth. Your professional approach towards this topic is impeccable.